Thursday, March 30, 2017 | 7:30 A.M. - 8:45 A.M. | Seattle Sheraton | Doors Open AT 7 A.M. The 2017 event is over, but donations can still be made at www.kcbf.org/donate. Our special client story (four and a half minutes long) is online -- click on the image to access it. Morris Dees first launched a private law practice in 1960, and would win a series of groundbreaking civil rights cases that helped integrate government and public institutions. Dees would go on to co-found the Southern Poverty Law Center in Montgomery, Alabama in 1971, along with his law partner, Joseph J. Levin, Jr. and the late civil rights leader, Julian Bond. Gaining prominence for innovative lawsuits that would cripple the Ku Klux Klan and other notorious white supremacist hate groups, Dees would also later serve as the finance director for former President Jimmy Carter’s campaign in 1976, and for Democratic presidential nominee George McGovern in 1972. 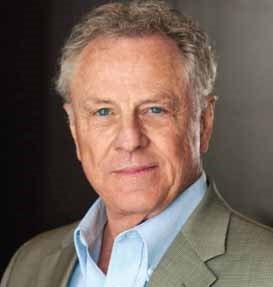 The author of four books and subject of a 1991 made-for-TV movie, Morris Dees has been the recipient of more than 20 honorary degrees and numerous awards—including Trial Lawyer of the Year from Trial Lawyers for Public Justice, the Martin Luther King Jr. Memorial Award from the National Education Association, The Salem Award for Human Rights and Social Justice and the ABA Medal, the American Bar Association’s highest award for exceptionally distinguished service. Guests will be asked to make a financial contribution in support of King County Bar Foundation's Pro Bono and diversity programs. For more information about the Breakfast With Champions or the King County Bar Foundation, please email the Foundation or call at (206)-267-7067.